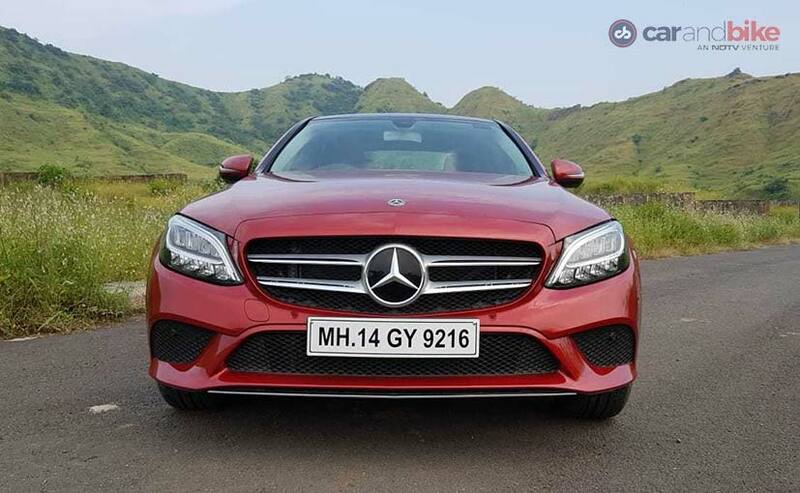 The Mercedes-Benz C-Class facelift was launched in India at Rs. 40 lakh and yes it's BS VI compliant. We exclusively drive the diesel variant of the car to find out how good it really is. A little while ago, we brought you all the details about the facelifted Mercedes-Benz C-Class when we drove the whole range - including the coupe, sedan and cabriolet - in rural Germany. 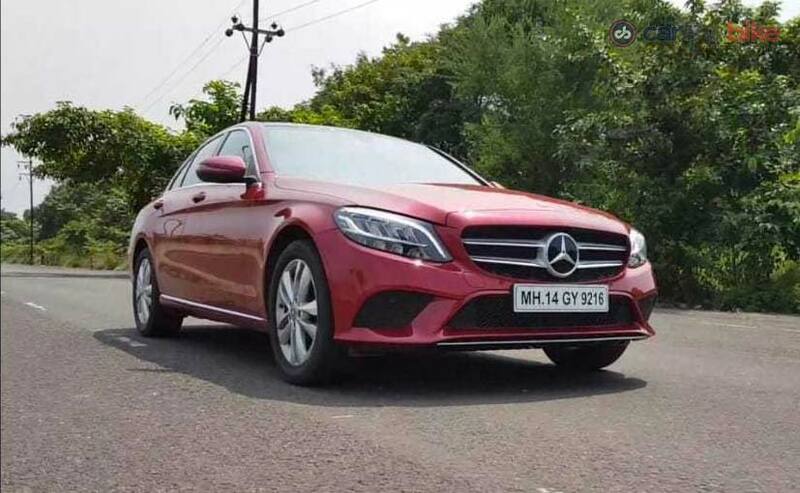 Then a few weeks ago, Mercedes-Benz India launched the facelifted C-Class sedan in India with just a diesel powertrain option. 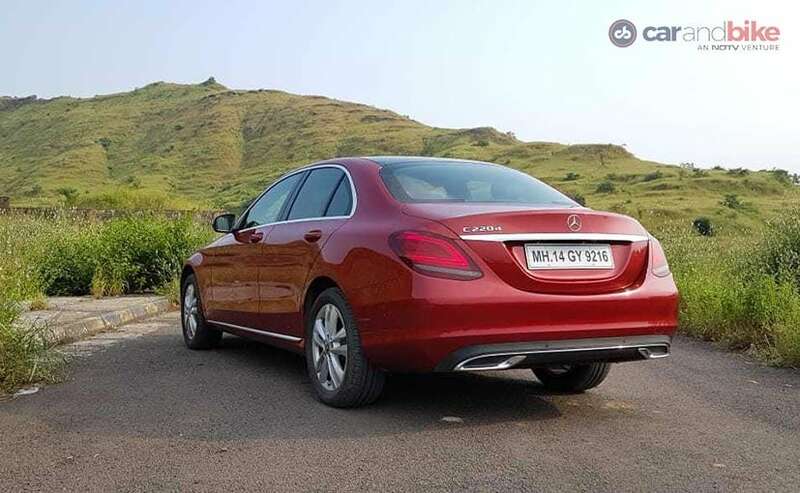 The C300d, a more powerful version is priced at Rs 48.50 lakh while the more popular C220d gets two variants starting at Rs 40 lakh (ex-showroom). And now we have EXCLUSIVELY driven the Mercedes-Benz C220d on Indian roads too. So how do the changes impact the leader of the segment? Well, read on to know more. 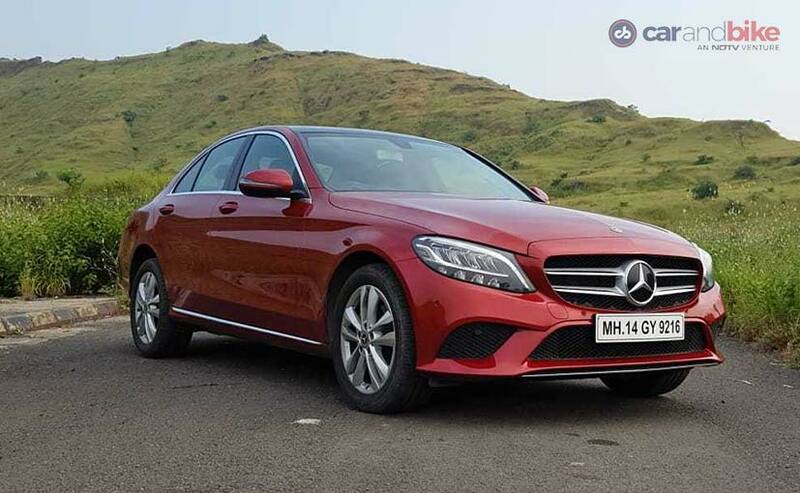 The Mercedes-Benz C220d is a popular choice for the luxury car buyer in India an a facelift needs to look the part. And unlike some of its competition, Mercedes-Benz really does put in some effort to make the updated cars actually look different. The facelift C-Class in C220d spec is a much sharper looking thing now with updated bumpers, a set of new wheels and of course, a new set of LED tail lamps. But the big change and the one everyone will talk about, are of course the new headlamps. The Mercedes-Benz C-Class facelift headlights are now an all-LED unit with the daytime running lights, low beams, high beams and even fog lamps all compacted into one sleek looking unit. In fact, the headlamps remind me of a dragonfly with its big yet detailed eyes and its not everyday that you get to make a 'real' (and not one that's made up by an automaker) animal reference to the way a car or a part of a car looks. The Mercedes-Benz C-Class facelift gets a new set of LED tail lamps. On a side note, the C300d also gets a set of LED headlamps that are adaptive units and although they are more advanced in terms of tech, these basic ones on the C220d most certainly look a lot lot cooler. With every generation and sub generation, cars have to keep up with not just the latest tech trends but also the latest design trends. So while piano black was the toast of the town a few years ago, in more recent times, car makers have gone back to using a more natural looking open pore wood instead. And the Mercedes-Benz C220d has just that. And a whole bunch of aluminium accent pieces around the interior to give that wood company too. The leather interiors too have been spruced up a little bit with a new stitch and some slightly updated seats and of course, a new leather finish itself. But the big changes are always the tech and that is where the Mercedes-Benz C-Class facelift impresses and disappoints all at the same time. While the Indian spec cars do get the lovely new horizontally mounted, high definition infotainment screen that really does look a lot better than the last ones, they miss out on one big feature. The all-digital instrument cluster! 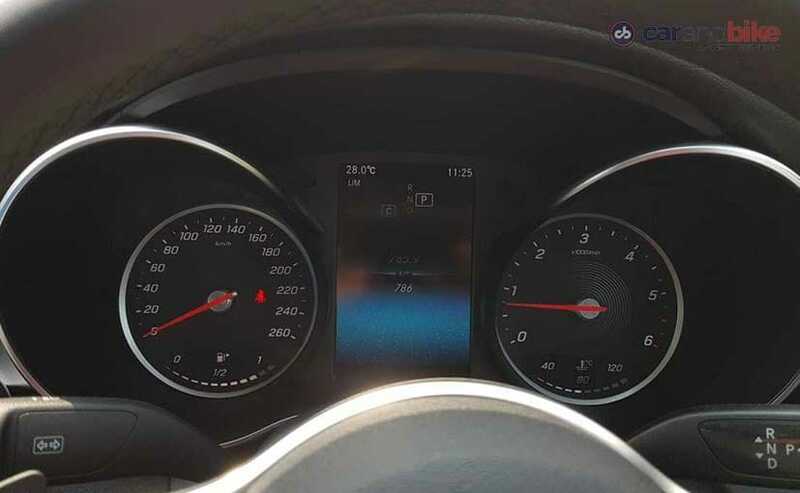 Considering the fact that Audi and BMW both offer an all digital screen on both the Audi A4 and the BMW 3 Series - either as standard on some models or only on certain variants, the Mercedes-Benz C-Class on the other hand does not offer it at all. And considering the fact that all of us automotive journalists did really love that little gizmo when we drove the European spec cars a few months ago, we are genuinely surprised the Indian cars did not get it. 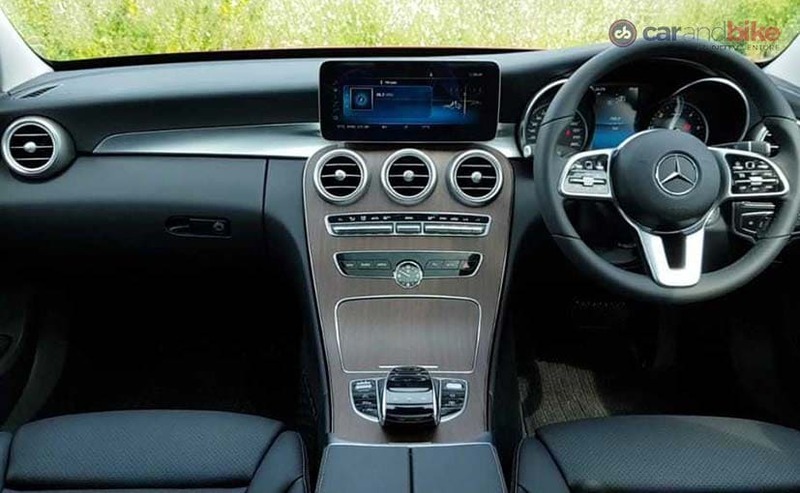 Thankfully though, the car does get the new steering wheel, which is very similar to the likes of the S-Class and gets blackberry style square touch pads that can be used to control the infotainment and instrument cluster screens. Coming back to the infotainment system, the Mercedes-Benz C-Class facelift now gets the much-needed upgrade to the user interface with the MBUX setup. 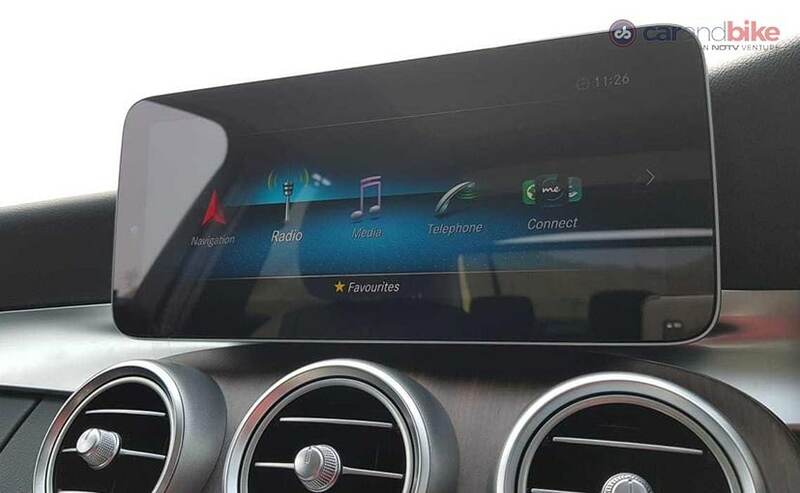 The new infotainment system also has Android Auto and Apple CarPlay and considering the fact that you now get Google Maps as standard on Apple CarPlay, the inbuilt navigation system becomes rather redundant in most cases. Unless of course you don't have any network connectivity on your phone. That said, and I have said this in the past too, using Apple CarPlay without a touchscreen is quite the hassle and can only be described as a pain in the posterior. 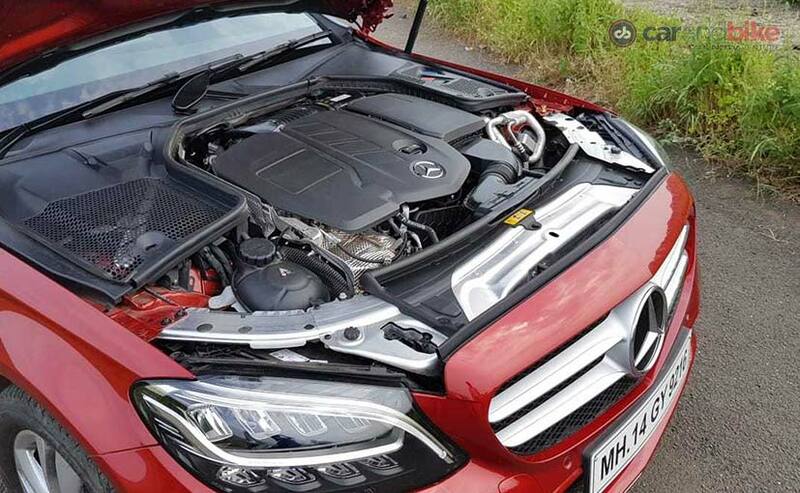 The new Mercedes-Benz C-Class is only available in India with a diesel engine - the new OM654, 2-litre, 4-cylinder, turbocharged unit that replaces the older 2.2-litre unit. Apart from being BS6 ready, the new engine is also mated to a new 9-speed dual clutch '9G-Tronic' gearbox. And what a massive difference it makes in the way the C-Class now drives. Gone is that hint of roughness and NVH, replaced with a genuinely class leading level of refinement. Not only is it quieter and more refined, but also considerably better to drive too with power delivery coming in very smoothly and without any surges. The new C-Class facelift has also been rated to give 12.06 kmpl (according to ARAI test figures) and that is also mainly due to the fact that the new 9-speed gearbox does now make you shift down for no good reason as compared to the older gearbox. In fact, the engine and gearbox are a more important update to the C-Class as compared to all the other tech bits all added together. Suspension setup on the new C-Class facelift though has stayed the same, a perfect spot on blend of handling finesse that this generation C-Class has always had. And to add, the car has a nice supple comfy ride too, like every Mercedes-Benz rightfully ought to. And with the nice thick sidewall on the tyres, the C-class goes through most potholes and bumps without much fuss. The C220d runs of a set of 225/50 R17 tyres, essentially the same as the last generation car. The updates on the new Mercedes-Benz C-Class are most certainly compelling ones. Yes, the lack of that all-digital instrument cluster is a bit of a put off but the new engine and gearbox, the small updates on the exterior - especially those alien headlamps and the updates on the interior, in particular the new screen, really does push it to a whole new level as a complete package. And with prices for the Mercedes-Benz C220d starting at Rs 40 lakh, dare we say it, it is quite a value for money proposition too.